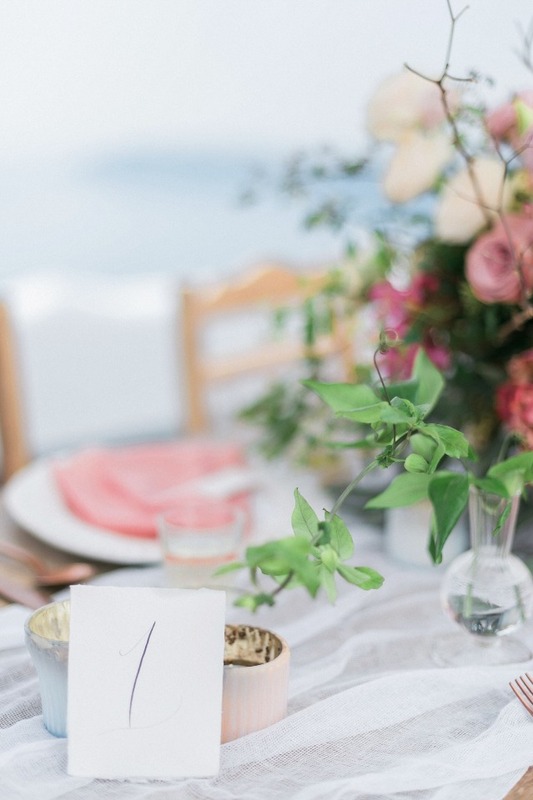 A White Washed Wedding In Greece For The Minimalist At Heart! 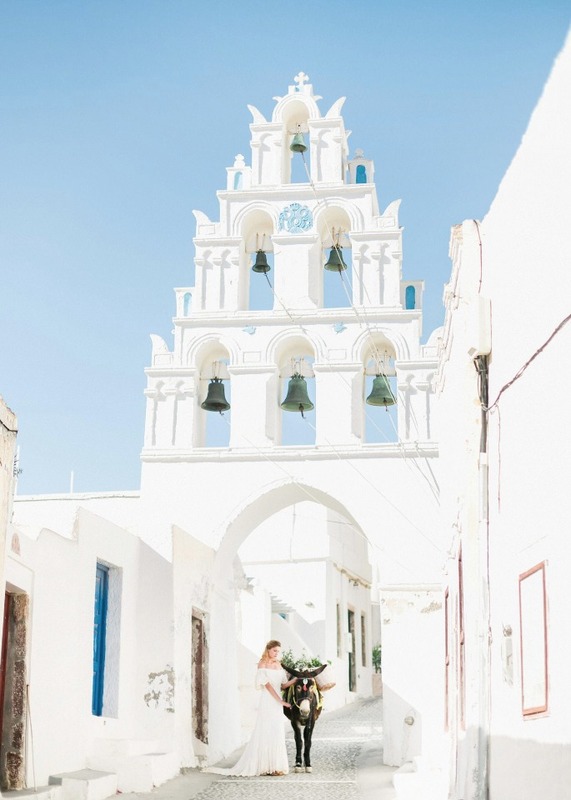 Do the fresh and clean white buildings on the coast of Greece sooth your soul? 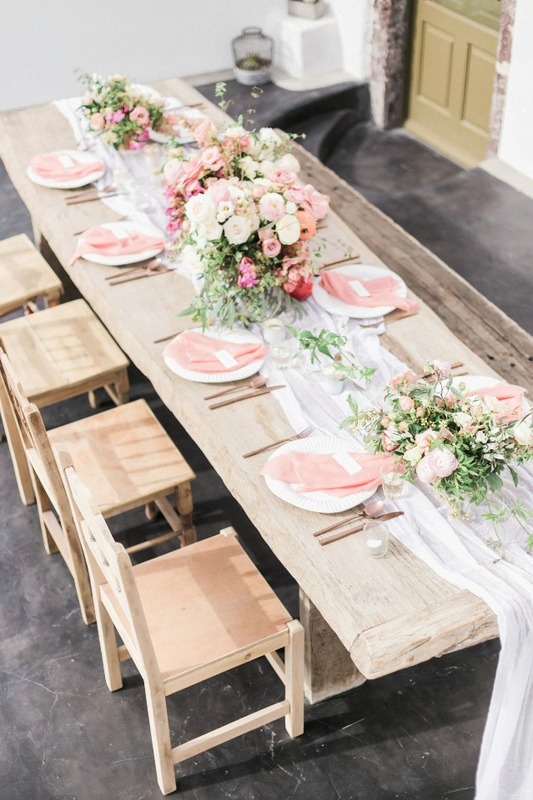 If you stand by by idea that less is more as appose to the over worked mentality these days that more is more, than we might have just the wedding design for you! 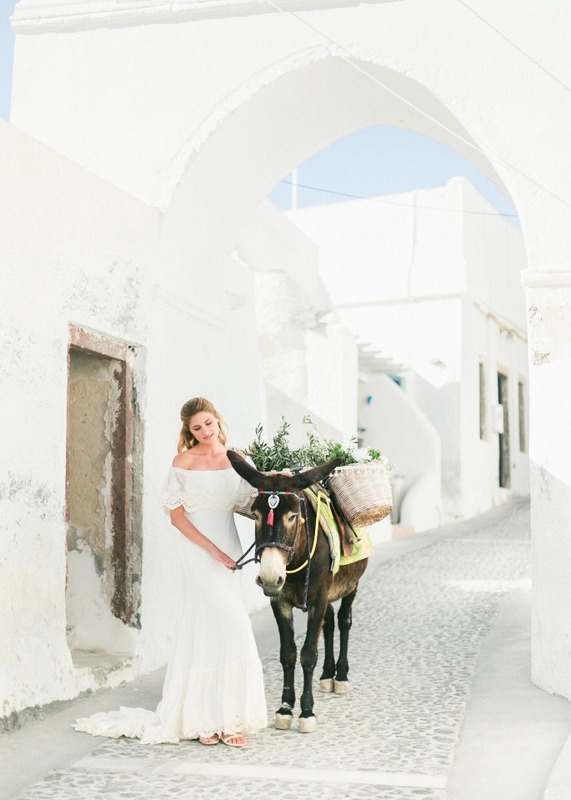 A fresh faced bride trots her herb toting burro through the quiet town streets of Santorini. 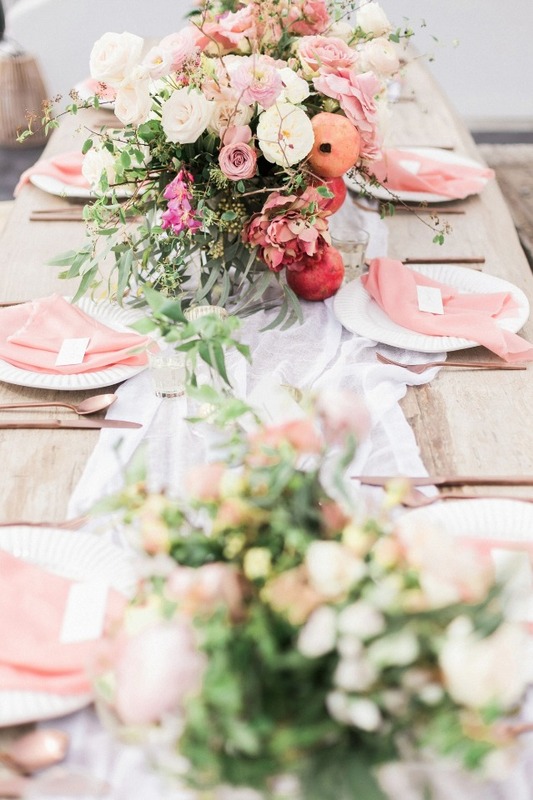 She says an intimate "I do" with her love with the sparkling Mediterranean Sea as their backdrop, and cap the night off with a small dinner with the few guests they invited. 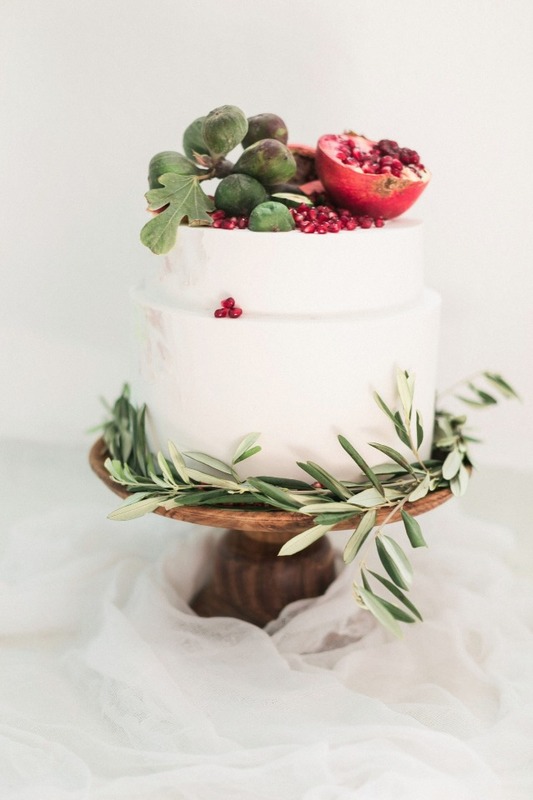 Quaint and minimal this beautiful wedding day idea was photographed by Sandy and Odysseas Photography with the talents of Weddings & Whimsy_Santorini​, Spread Love Events, The Cross Design and Cake By Annie. 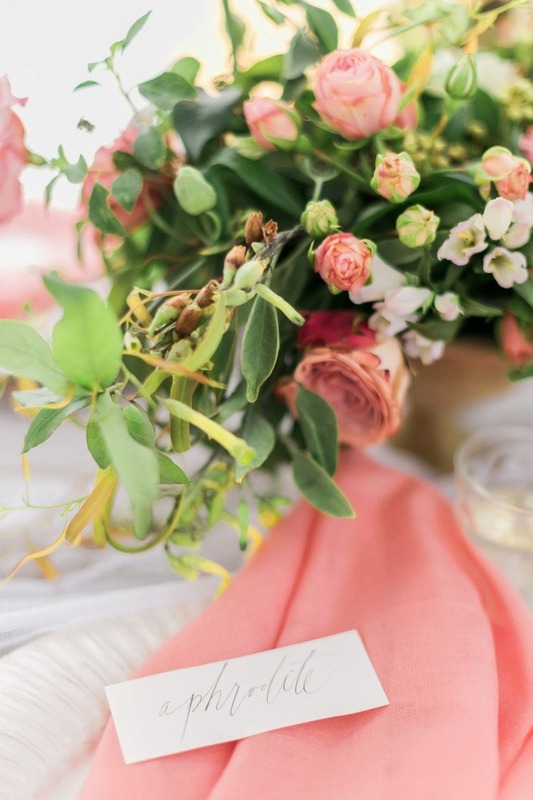 You can see every last detail from this inspiration by visiting our full gallery of photos here. 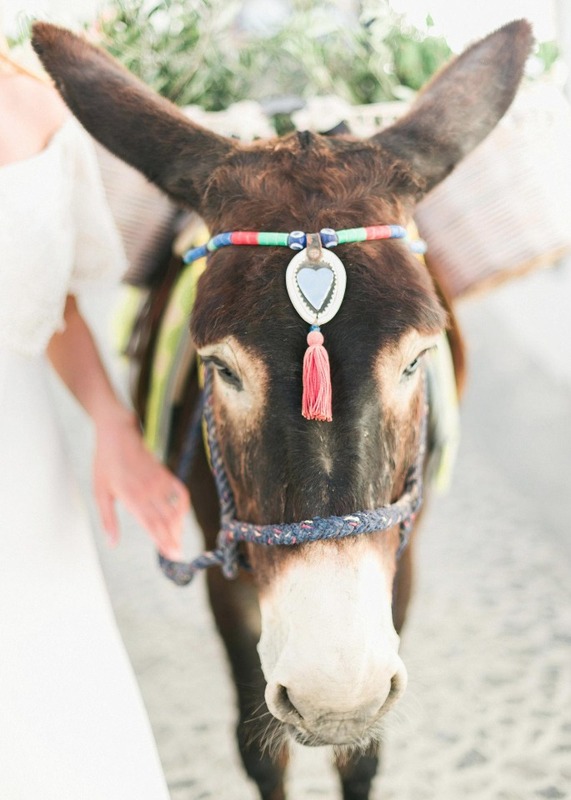 Who is this Quite Greece Wedding For? 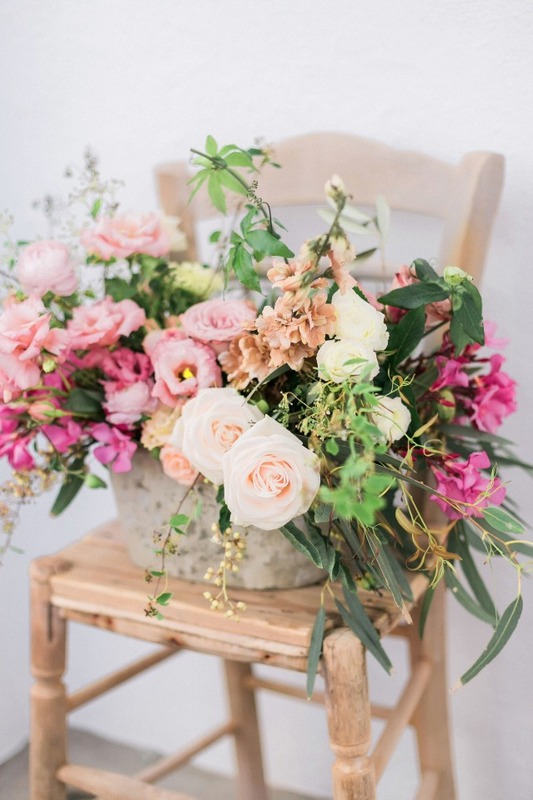 From Sandy and Odysseas Photography: She would be described as cool … pale… and golden … A pedigreed but rebellious debutante, nurturing a passion for riding and athletics. Her activities influence many of her pragmatic fashion choices, she has a taste for preppy daytime clothes and favors clean, simple designer lines. Gowns flatter her slender, athletic physique, she dreads overdressing, she is a master of simple elegance. 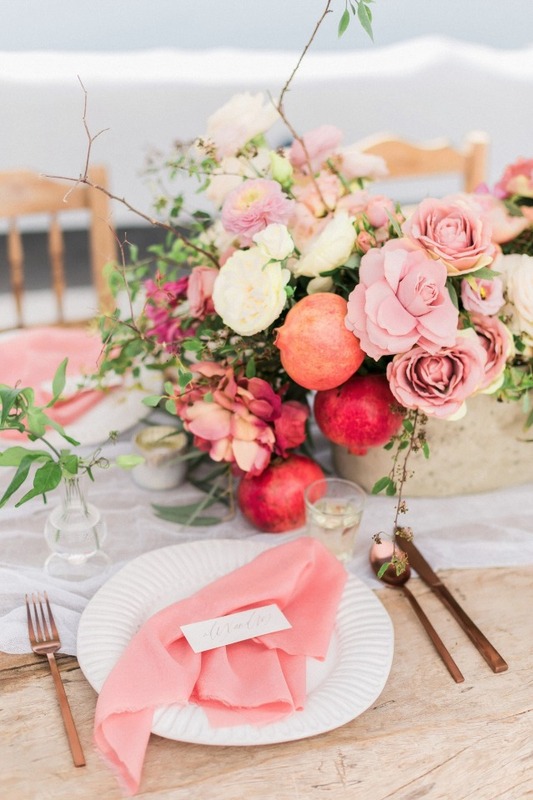 On her wedding day, she refers from the lush, hip, yellow chez-longue resorts. 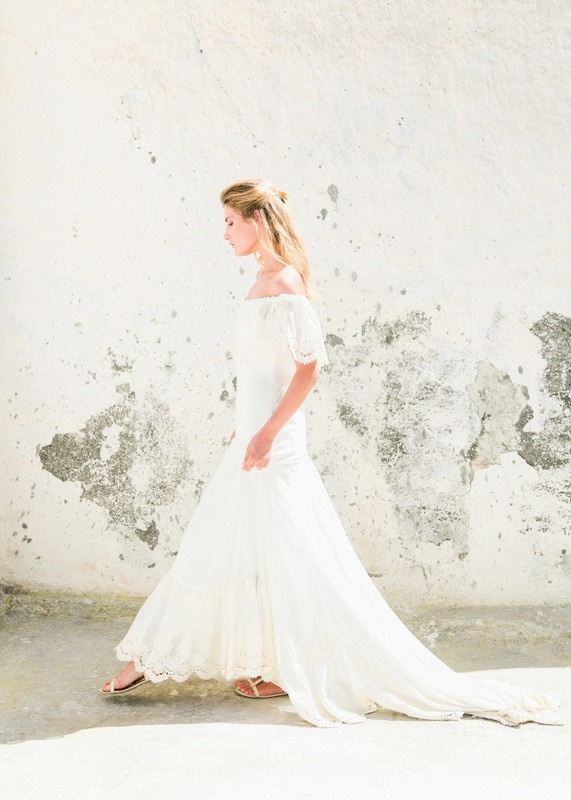 Her wish for privacy takes her to a rustic, undiscovered-by-socialites village in Santorini. 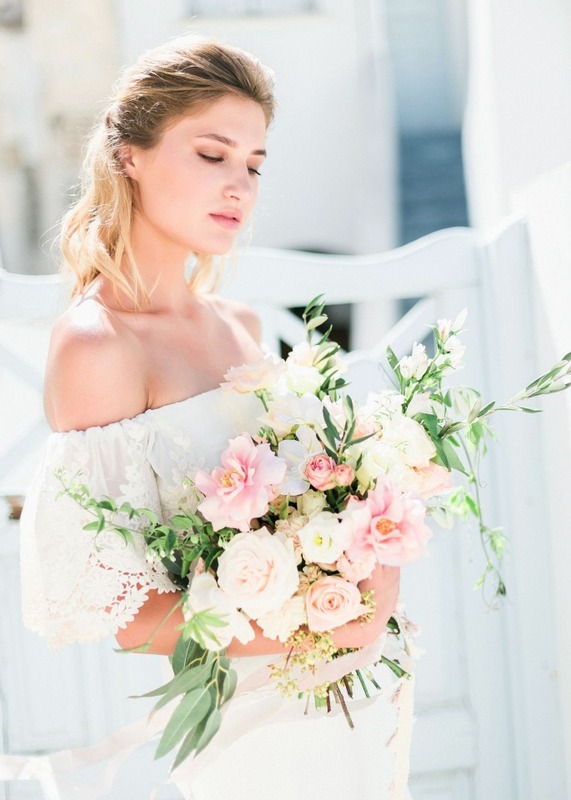 In a Bardot- top lace ornamented gown that draws inspiration from the Aegean handicraft, this bride reveals her unique sense of style with a fresh, folksy hairdo and barely-there jewelry, with the same gravitas accorded to a massive Harry Winston sparkler, captivated by artistic line rather than bottom line. 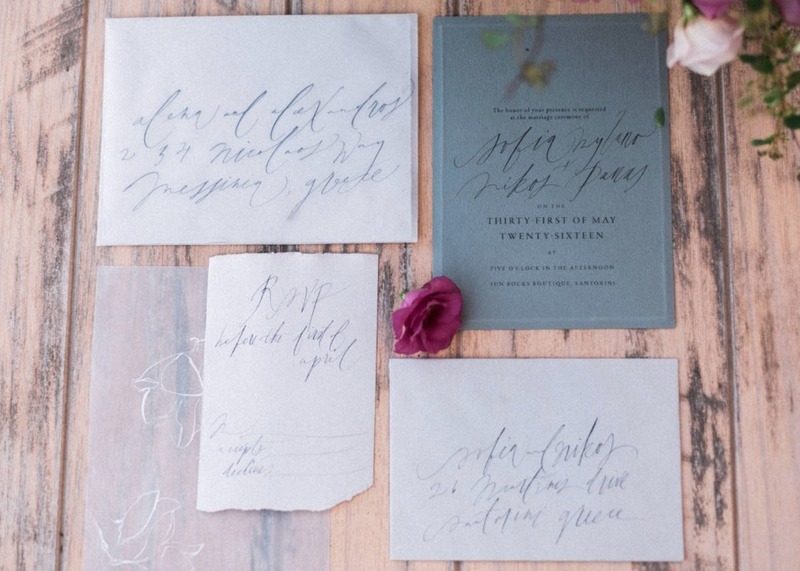 To epitomize chic, it is the message, not the medium, that counts.